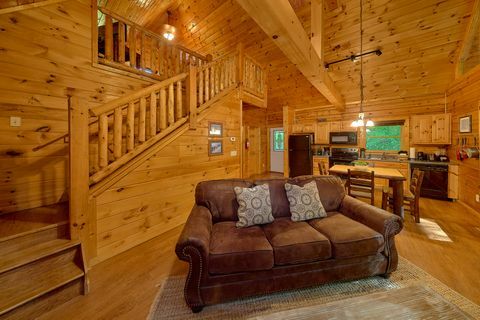 Smoky Mountain Honeymoon Cabin Rental - "Git-R-Done"
Welcome to our Smoky Mountains honeymoon cabin rental, "Git-R-Done." 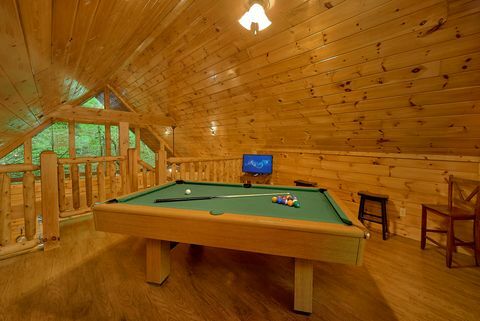 This romantic cabin in Smokies provides vacationers with swimming pool access and a location that's only minutes from many of the area's most visited attractions and shows. 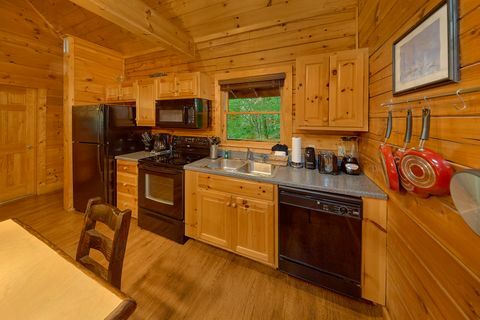 Your honeymoon cabin in the Smokies accommodates up 4 guests comfortably and provides vacation comforts that will make your cabin stay even more enjoyable. 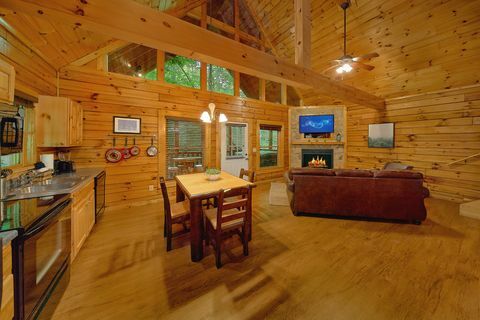 Enjoy the warm inviting glow of the stacked stone electric fireplace that illuminates the cabin's open floor plan. 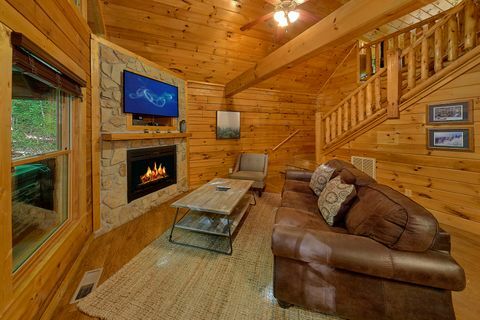 The living room's sleeper sofa provides additional sleeping space next to the to the fireplace and television if needed. 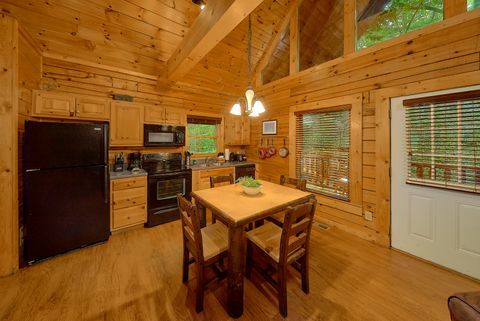 Prepare private romantic meals in the cabin's dine-in kitchen or grill some steaks on the gas grill for a cookout in the mountain air. 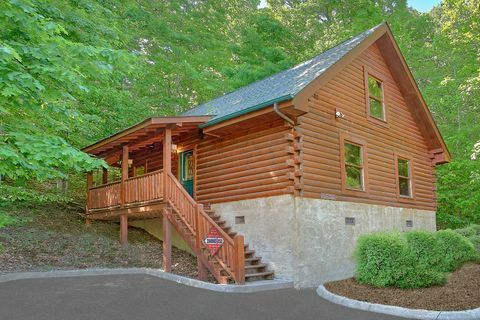 The Tennessee Smoky Mountains offer many adventures and natural attractions worth visiting while you're in the Gatlinburg - Pigeon Forge area. 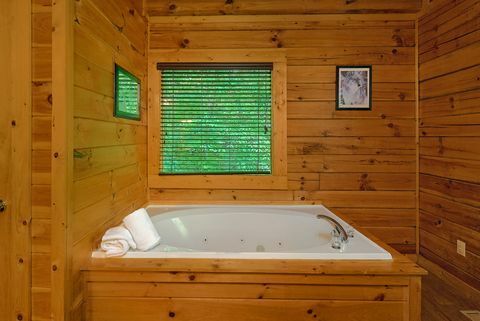 When you're not exploring take advantage, your Smoky Mountain honeymoon cabin rental's resort swimming pool or your family-sized, year-round hot tub that looks out onto the beautiful Smoky Mountains forest. 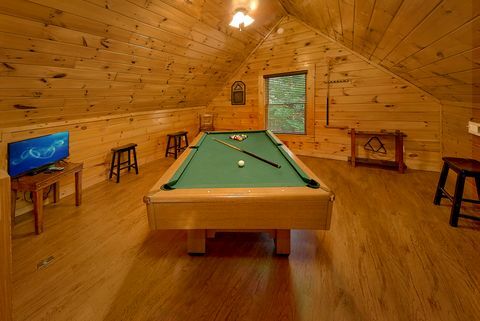 For additional entertainment, head upstairs to loft game room with pool table and television for a game night. 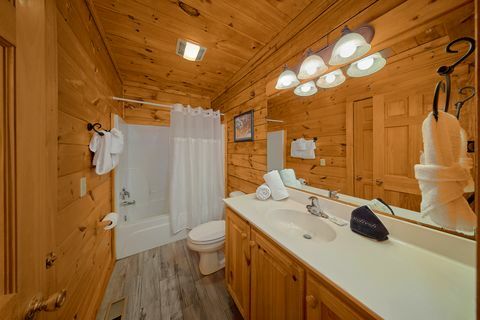 When it's finally time to turn in for the night, the cabin's master bedroom has a king bed, romantic in-room jacuzzi, and personal television. 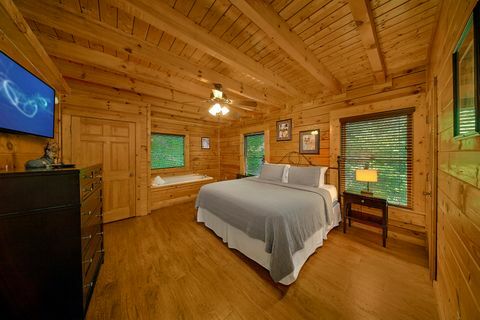 Book "Git-R-Done" or another Smoky Mountain honeymoon cabin rental online to receive your immediate Online Cabin Special and start planning your stay in this romantic cabin in Smokies!